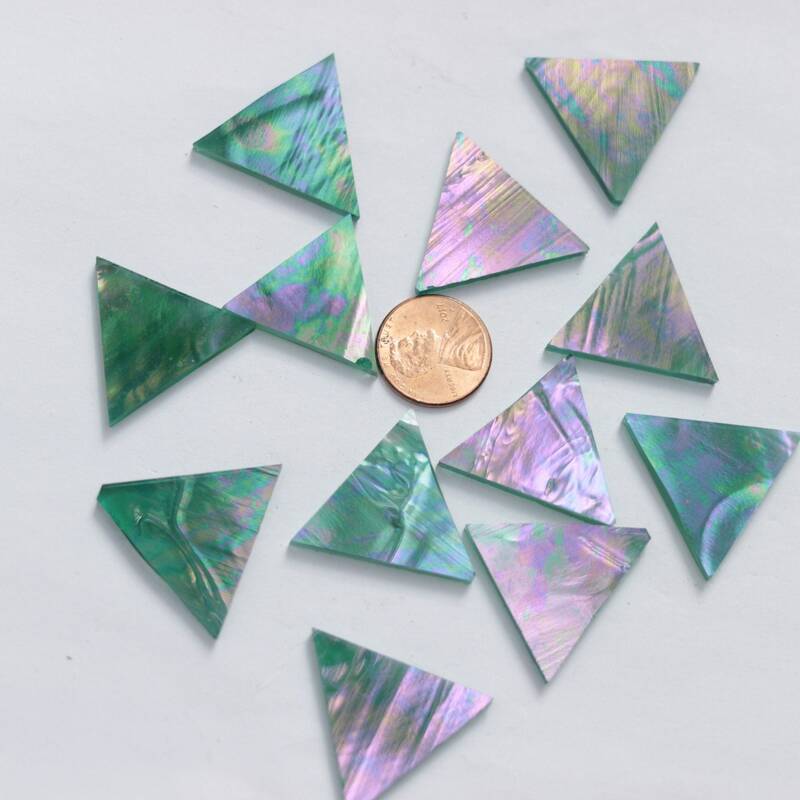 Wispy Teal Iridescent Triangles are 1" Tall and each side measures 1 1/8" long. There are 25 tiles in the package. 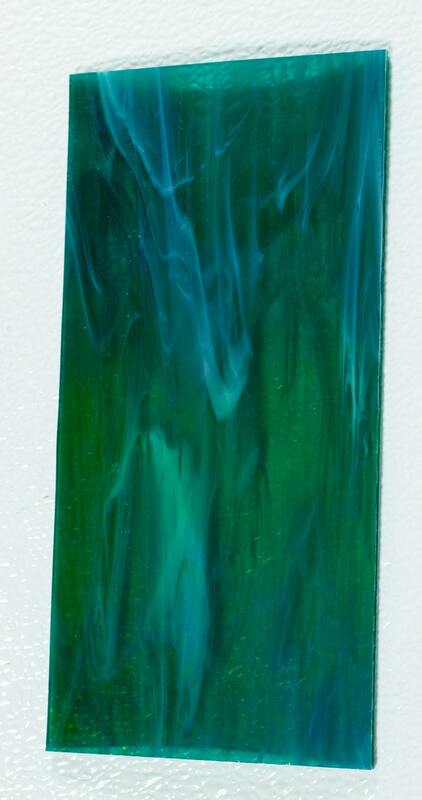 Wispy Teal Iridescent Spectrum #I/823-92 is a beautiful teal green with a little bit of white swirled in. The iridescent coating reflects a rainbow of colors that include teal green, golds, and purples. This color is fairly translucent so it's great for light transmission projects but the iridscent coating also makes it suitable for mosaics.